Mark your calendars because the next episode of Addicts Live will be airing Next Saturday (January 19th) at 12:00pm ET (for timezone converter check here). The next episode will feature, as usual, our thoughts about what’s going on in TSTO, lots of laughs, our usual crazy antics and of course we’ll be fielding your questions. Plus, we’ll be breaking down the new Alice Glick event and discussing all things Golden Goose! As far as what you’ll need for the live stream? Well, nothing different! No new program to sign up for. Just check out TSTO Addicts on Saturday, January 19th and watch for the Addicts Live post around noon. From there you’ll be able to directly play the stream…as if you were watching a regular embedded YouTube video! Nice and simple! Tagged Tapped Out Tips and Tricks, The Simpsons Tapped Out, TSTO Addicts, TSTO Help, TSTO Not Yet Spring Cleaning, TSTO Tips and Tricks, TSTO Videos, Whats next in TSTO? Let’s be honest about it. We have become a very, very, entitled little bunch when it comes to Christmas updates. As I wrote about last week, there are FAR more important things in the world to worry about than if we get what we want, when we want, and how we want…in a mobile game. It’s kind of like what happens to a spoiled kid at Christmas that gets everything on his list…and then gets tired of playing with a lot of his toys, because he has so damn many of them! Parents end up trying to figure out where to put everything…and kids just move on to the NEXT thing they want. But, I get it. I saw loads of comments about the dearth of land in the game, combined with the wealth of stuff we are getting in the update. One of you or more actually pushed back when I said, “quit yer whining…I have LOADS of land left to buy” by telling me to do a Friday Filler on Land Management in our games. Well…me and Santa have a lot in common (besides our love of cinnamon rolls and wassail), so I am going give you your wish, and do just that. 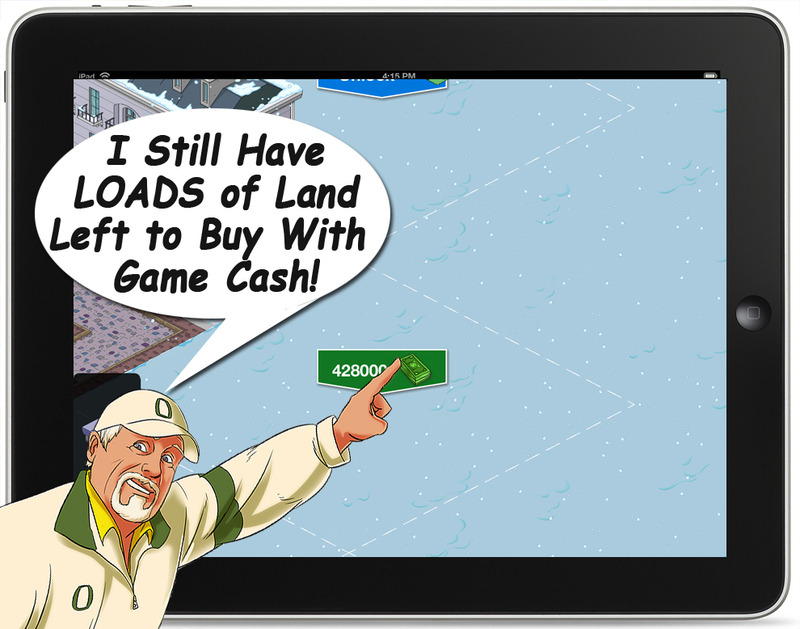 How I have it all…and still have land left to buy…with GAME CASH!! Mark your calendars because the next episode of Addicts Live will be airing Next Saturday (December 15th) at 12:00pm ET (for timezone converter check here). The next episode will feature, as usual, our thoughts about what’s going on in TSTO, lots of laughs, our usual crazy antics and of course we’ll be fielding your questions. Plus, we’ll be talking all things Christmas in Springfield! And the major meltdown that followed its arrival! As far as what you’ll need for the live stream? Well, nothing different! No new program to sign up for. Just check out TSTO Addicts on Saturday, December 15th and watch for the Addicts Live post around noon. From there you’ll be able to directly play the stream…as if you were watching a regular embedded YouTube video! Nice and simple! Tagged Tapped Out Tips and Tricks, The Simpsons Tapped Out, TSTO Addicts, TSTO Christmas 2018, TSTO Help, TSTO Tips and Tricks, TSTO Videos, Whats next in TSTO? Mark your calendars because the next episode of Addicts Live will be airing Next Saturday (November 17th) at 12:00pm ET (for timezone converter check here). The next episode will feature, as usual, our thoughts about what’s going on in TSTO, lots of laughs, our usual crazy antics and of course we’ll be fielding your questions. Plus, we’ll be talking all things Turkey Day in Springfield and Black Friday Preview. And of course you won’t want to miss Safi answering all of your Turkey cooking questions! As far as what you’ll need for the live stream? Well, nothing different! No new program to sign up for. Just check out TSTO Addicts on Saturday, November 17th and watch for the Addicts Live post around noon. From there you’ll be able to directly play the stream…as if you were watching a regular embedded YouTube video! Nice and simple! Tagged Tapped Out Thanksgiving Event, Tapped Out Tips and Tricks, The Simpsons Tapped Out, TSTO Addicts, TSTO Black Friday, TSTO Help, TSTO Thanksgiving, TSTO Tips and Tricks, TSTO Videos, Whats next in TSTO?